Don’t just blindly invest in any cryptocurrencies that sound fancy if you are a trading beginner. Instead, make it right from the beginning in order to really make money and not starting to suddenly lose more and more at some point. Many crypto traders are financially free because they make it the right way. 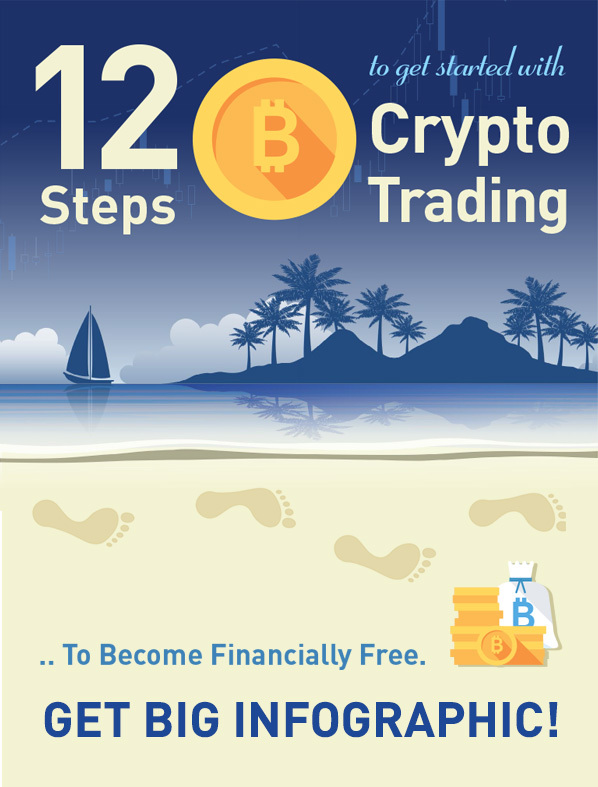 Learn all you need for successful crypto trading in the most efficient way possible in order to be among those who make money long term and become financially independent! Crypto trading is a serious business like any trading activity, be it stocks or Forex trading. However, for those how invest the time and learn how this business works – it's fun. Because those will make money, and even become financially free. Many professional crypto traders don't need to be slaves in their old jobs anymore. They have the choice what they want to do in their life while earning their money through cryptocurrency trading. This is of course no promise or guarantee that you will make it – this entirely depends on you, if you are willing to invest the time to learn what is needed. But this doesn't take years, you can become good within just a couple of months if you decide to lock daily time for crypto trading education and practicing and don't just watch TV after work. Rich and successful people differ from the crowd by just one simple thing – they go the extra mile, they learn something while others watch TV. They do instead of being passive. Not Everybody Will Go The Extra Mile, And That's Great..
Because crypto trading can only make some people rich when many others lose. Like in all markets. That's how the money flow works. So it's important that many stay losers, otherwise the game just doesn't work anymore. It's your choice if you want to participate in the game and on which side. Do you want to be a winner or are you ready to get racked by the winners? If you want to become a winner, make money and become financially free – go the extra mile and learn what is needed! You have this one life. It's your choice.